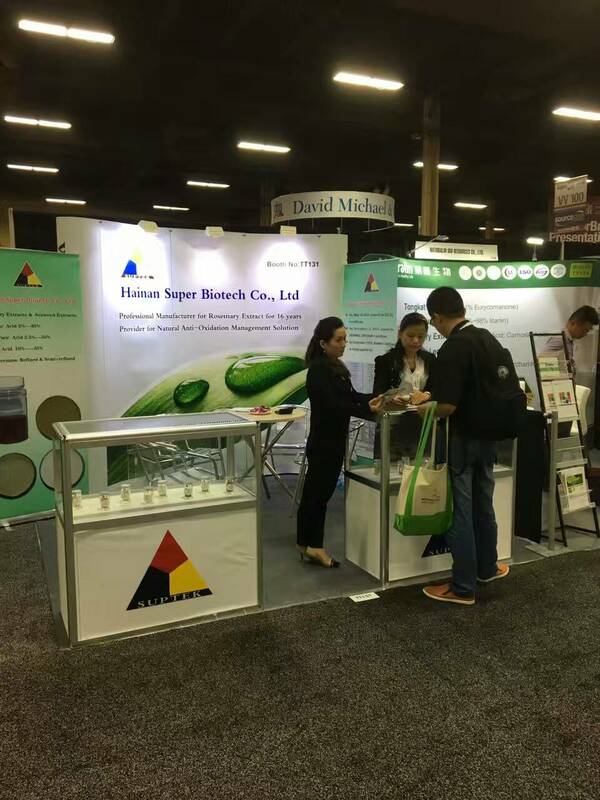 On 7th-8th Oct 2016, Super-Bio Biology attended 2016 Western U.S International Plant Extracts& Healthy Innovative Raw Material Exhibition SSW staged in Sands Expo Center in Los Angelis. 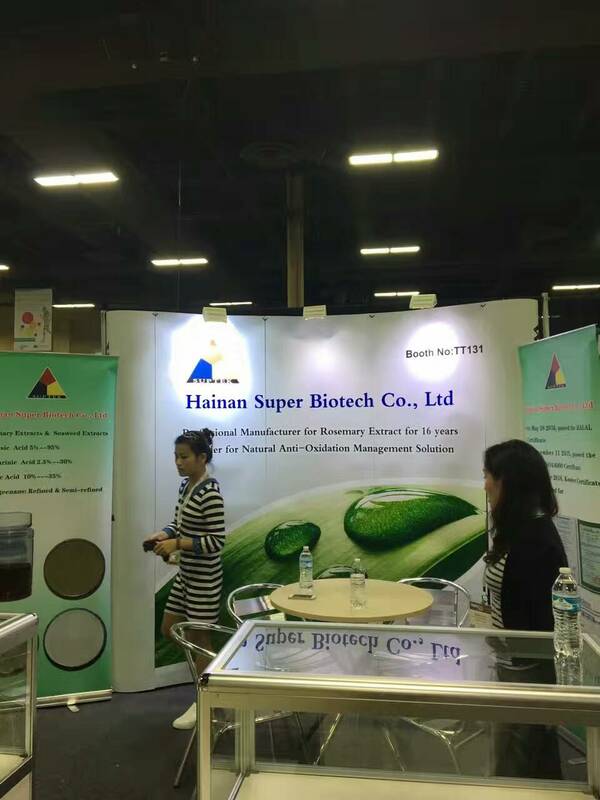 The exhibition was host by Virgo Publishing Inc, and the number of attendees was up to 200,000.The company’s exhibition products such as Rosemarinic Acid series, Carnosic Acid series, Rosemary Essential Oil, Ursolic Acid series, Carrageenan etc, widely received popular acclaim and attention. During the exhibition, many new and old customers came to our booth to consult and communicate, which accomplished desired results and achieved complete success! The company participated in the exhibition with the purpose of broadening the horizon, unlocking new thoughts, studying the advanced, communicating and cooperating, and made full use of the opportunity to exchange ideas with all attendees and distributors. The company further enhanced company brand’s visibility and influence and acknowledged products of advanced enterprises in the same industry to better improve self-product and give full play to our advantages. The company made fruitful achievements according to this exhibition. We would keep moving on brand popularity, make persistent efforts and create resplendence!